Google Chrome is a very nice Web Browser with a lot of features and users base. It became the number one Web Browser of the world by defeating Mozilla Firefox and Internet Explorer of Microsoft. It comes with fast speed and good features. It also have a Web Store from where one can download and install various games, applications and extensions. So, the Google Chrome browser is only one browser which can be changed according to user's requirement. There are a lot of themes and extensions to tweak Chrome. In this tutorial, we are going to make Google Chrome open multiple tabs which we will specify manually or Chrome will open the pages which we were browsing recently. This feature is mainly comes in Opera Browser. Many people like researches likes this feature as with this, you do not have to search and find the pages again if you closed your Browser or Shut down your computer. Each time you will open your opera browser, the same set of pages will be opened. We are going to make Google Chrome do the same. We will control the opening of multiple tabs whether should they remembered from last browsing session or whether we will define a new set of pages to opened each time we open Google Chrome. The tutorial goes as following. Please note that there may also some other applications or extensions available to perform this task, but we are going to use Google Chrome's built in feature and you don't require to download or install any additional file. Follow the tutorial as given here and you will have all control over the multiple tabs feature on your Google Chrome browser. Click on Settings Menu, which is given on the right top of your browser and showed has three lines. Now you will see the very second title on settings page i.e. On Startup. Open the new tab: Simply open a new tab every time you open Google Chrome. Continue where i left off: Ticking on this option will make Google Chrome remember your browsing session like Opera Browser and will open all recent opened tabs when you run Google Chrome. Open a specific page or set of pages: Here, you can enter the URL or Web address of any particular page or a set of pages that you want to open each time you run Google Chrome. Tip: If you want to use a set of pages, then open all the pages that you want to be opened by Google Chrome. Then Go to settings and choose set of pages and then click on select current pages. This will add all currently opened pages to the list. 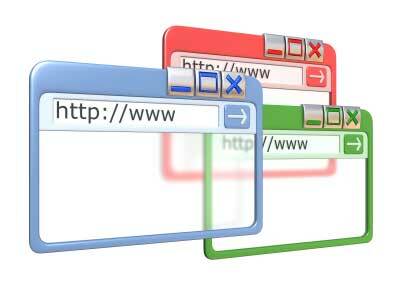 Now you learned to control and configure multiple tabs feature in Google Chrome.